Man: Members of the board, I have good news and bad news. 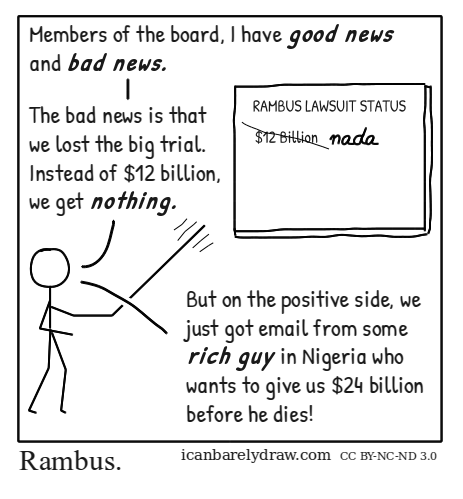 Man: The bad news is that we lost the big trial. Instead of $12 billion, we get nothing. Man: But on the positive side, we just got email from some rich guy in Nigeria who wants to give us $24 billion before he dies!